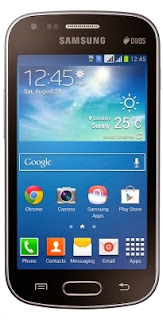 Within a fortnight of launching the Galaxy Duos 2, Samsung has unveiled the Galaxy Grand 2 phablet in the Indian market. It is the successor to the Galaxy Grand that was launched earlier this year and was a big hit in the country. This phablet has a larger screen, more RAM and bigger battery than its predecessor. The new phablet will be be available for sale from January 2014 and will be priced between Rs 22,990 and Rs 24,990, Samsung said. Vineet Taneja, country head, mobile and IT, Samsung India, said, "Galaxy Grand 2 with a vivid HD screen offers a premium viewing experience and enhances multitasking abilities with its Multi Window feature. Along with this, the introduction of Club Samsung will significantly elevate user experience in terms of features, content and services. Our new offerings are a testimony of our commitment to offer differentiated products to all our valued customers." The all-new Galaxy Grand 2 has a 5.25-inch HD screen and 1.2GHz quad-core processor. It comes with 8GB internal storage, up to 64GB microSD card support and 1.5GB RAM. On the back, it has an 8MP camera with LED flash and sports a 1.9MP camera in front. Connectivity suite of Galaxy Grand 2 includes 2G, 3G, Wi-Fi, Bluetooth 4.0 and microUSB 2.0. It is powered by a 2,600mAh battery and the company claims that it can provide talk time of 17 hours. The phone will be available in white, black and pink colours in the market. Some of the proprietary apps that come preinstalled in Galaxy Grand 2 are Story Album, S Translator, S Travel, Sound & Shot, Samsung Hub, Samsung Link and Group Play. This phablet will compete against the likes of Huawei Ascend Mate, the upcoming Nokia Lumia 1320 and its sibling Samsung Galaxy Mega 5.8.